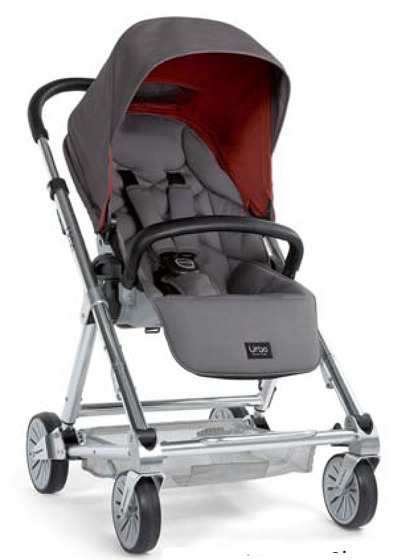 Mamas & Papas Urbo pram now comes in Slate colour! Have a passion for grey? I certainly do. My carpet is charcoal grey, my bedroom is painted silver grey and we’re busy painting the outside of the house in a beautiful stone grey. I adore this colour! So now that Australia has gone berko for the Mamas & Papas Urbo in black, it’s time to diversify. Not straying too far from the monochrome scheme which compliments the stunning chrome frame, there’s a brand new colour on the block – slate! Minimee is taking pre-orders right now for January delivery of the new colour. There is free delivery for all pre-orders of the Urbo – what a fantastic deal! The Urbo in Slate is $749 and the matching footmuff is $99.95. See our detailed editorial from March to read about all the amazing features of this gorgeous machine – you can compare it with others using our handy Pram Chooser too.